Google Pixel unboxing video is out and has already become popular among viewers. This first, exclusive video by Verizon LTE Advanced, gives a sneak-peek of the newly-launched Google Pixel Phones. 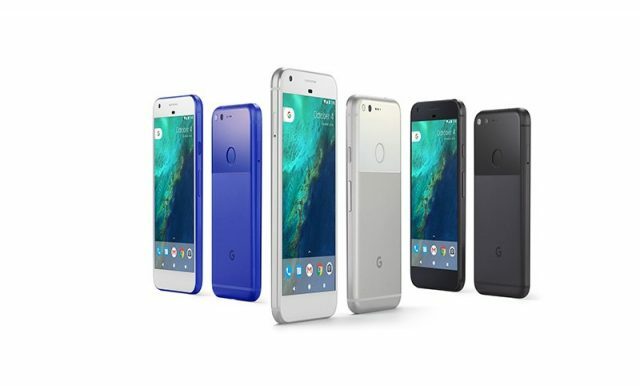 Yesterday was an eventful day for Google, as it finally raised the curtains off its much-rumoured smartphones- Google Pixel and Google Pixel XL. At the grand event held in San Francisco, Google revealed major details about the smartphones. From the hardware specs to the design and colours, every minute feature was unveiled at the event. Although, it wasn’t something new for the audience. They were already aware of most details about the phones, thanks to Carphone Warehouse’s leaks. Anyway, Google gave out one major info at the event,i.e., the Pixel phones will be available for pre-sale in US, Australia, Canada and Germany, from today itself. Verizon, has taken the initiative to sell the phones in the US. And, to add more fun to the excitement surrounding the phones, it has come out with a special video, that displays the that displays the Google Pixel unboxing video. This exclusive Verizon LTE Advanced video, shows the unboxing of the Google Pixel phones, which looks somewhat amateur. It begins with the revelation of the silver and black editions of the Pixel phones, from one box each. The boxes are cleverly labeled with the Verizon and Google logos, to make the retailer’s name pretty evident to the viewers. The video then goes on to display a series of beautiful pictures, highlighting the awesome camera quality and features of the phones. It puts a special emphasis on the fact, that the pictures taken by the phone have been uploaded to Google Photos, using Verizon LTE Advanced. It also shows off Google’s new feature, Google Assistant, that a user can utilise while travelling. The Google Pixel unboxing video also gives its viewers, the opportunity to learn about the various benefits of the Google Pixel phones. It introduces them to the advantages of Google Photos and the unlimited storage options, that the phones have to offer. In short, this video gives the viewers a clear idea, on what to expect from the Google Pixel phones. Get an exclusive look at the video here! Verizon LTE Advanced has done a commendable job by uploading the Google Pixel unboxing video. It is a wonderful surprise for the viewers, who have been patiently waiting to get hold of these phones. Now, they know what they’ll find, when their Google Pixel phone will finally arrive at their doorstep! What Google Pixel Phone Box Contents? Google Pixel XL Unboxing – The New Android King? The Pixel phones will get an advantage due to the fact that the first Android updates will always be made available to these phones.